090. CAPTAIN JAMES COOK. Issued by Nicolas Sarony and Co. (1924-25). Card number 59 from a second set of 50 cards entitled "Celebrities and their Autographs". Issued in large and small format. Size: Ca. 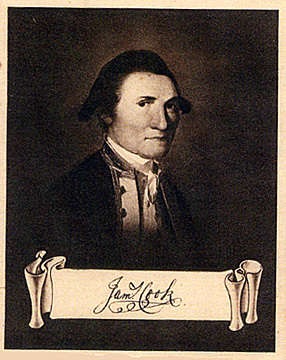 3.1" x 2.5"
Recto: Portrait of Cook in naval uniform, his signature appearing below.